Pillows were first used in Asia and Egypt by wealthy men to elevate their heads and keep bugs and insects away from their face. These were often made of stone, wood, or metal. Thankfully pillows have evolved over time, allowing us to gain a better night’s sleep and develop proper sleeping postures. Go to any department store and you will find row upon row of pillows. So how do you know which one to choose? That all depends on the type of sleeper you are, and the shape of your head and neck. The goal regardless of your preferred sleep position is to maintain neutral/normal spinal alignment. Side sleepers should use firm or extra firm pillows about 4 inches high to support the neck. The goal is to keep the head and neck aligned with the rest of the spine. A pillow that is too soft or too hard will exert stress and result in stiffness, pain, and headaches. Your pillow may be too thin if your top shoulder is rolling forward. If you are experiencing pain in your back, try placing a pillow between your knees to discourage the top leg from falling forward. The back sleeper’s pillow should be medium to firm, and lower in height than that of the side sleeper’s pillow. You want to support the natural curve or your neck and cradle the head, achieving neutral alignment. 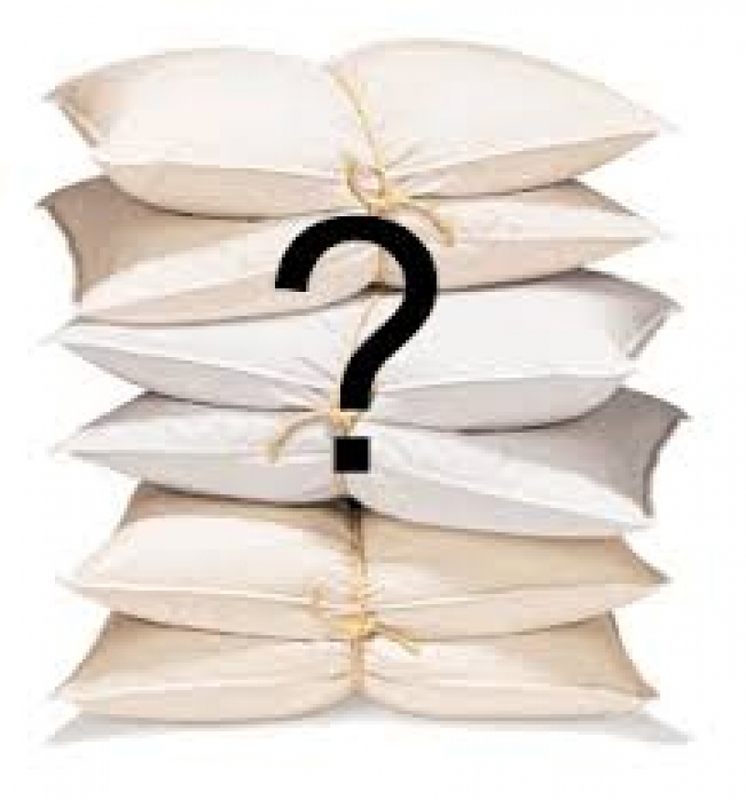 Recommended types of pillows for a back sleeper include down alternatives, memory foam, or latex foam. If you are experiencing pain in the small of your back, try placing a pillow under your knees to support your lower back by decreasing the arch. If you sleep on your stomach consider switching your sleeping style, as this position can lead to various posture problems as well as neck pain. If it is not possible for you to switch, try a very thin pillow or no pillow at all to maintain proper spinal alignment. Choose a pillow that is soft made from materials such as down feathers, or thin foam. If you are experiencing pain in your neck, try using a flat pillow under the stomach to keep the spine in alignment. This is the hardest to shop for! A person who changes sleeping positions throughout the night will need a pillow with both soft and firm sections. Try a pillow with a low soft spot in the centre for back sleeping, and high firm sides for side-sleeping. If you continue to experience pain when you sleep after trying these tips, contact Motion Works Physiotherapy. One of our physiotherapists will assess the affected area, start treating your pain, and provide you with exercises and tips to help you find your way back to a good night’s sleep.